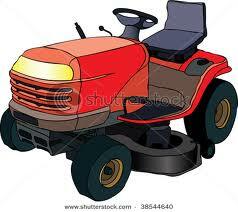 There’s a man that lives in a neighboring town who rides his red tractor around town every morning around 9 o’clock. I have seen him every day as I was driving my daughters to day camp. And he made my day, every day, because every day he has a HUGE smile on his face. This man must be in his 90’s, and he is unable to drive his car anymore, but he is living “carpe diem” (seize the day) to the max. I wish you could see him; his smile is infectious. He seems to relish these moments on his tractor, moments of freedom and independence and driving, more than I relish my moments. I want to be like him; he’s one of my new heroes. I would love to take his picture, but I don’t want to make him self-conscious. I just want him to keep loving life, and appreciating every moment, sitting and driving through town on his red tractor.